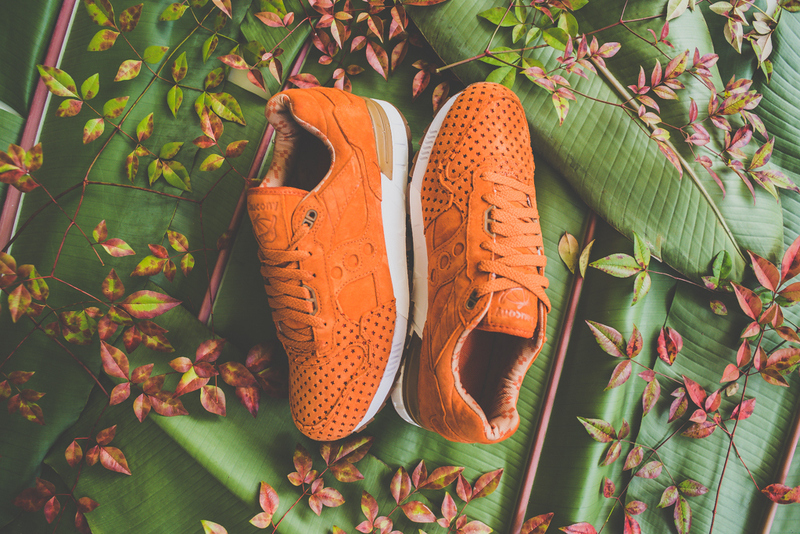 Created by Play Cloths, the streetwear brand founded by rappers Pusha T and No Malice, the Strange Fruit pack takes Saucony’s Shadow 5000 sneaker shape and produces it in trio of appetising colours. 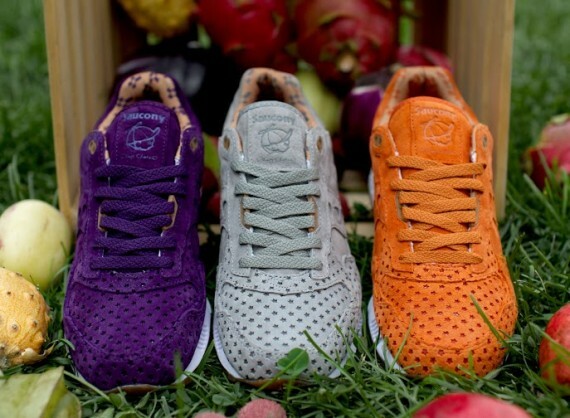 Within the Play Cloths fruit bowl you can find plum purple, orange and dragon fruit grey. 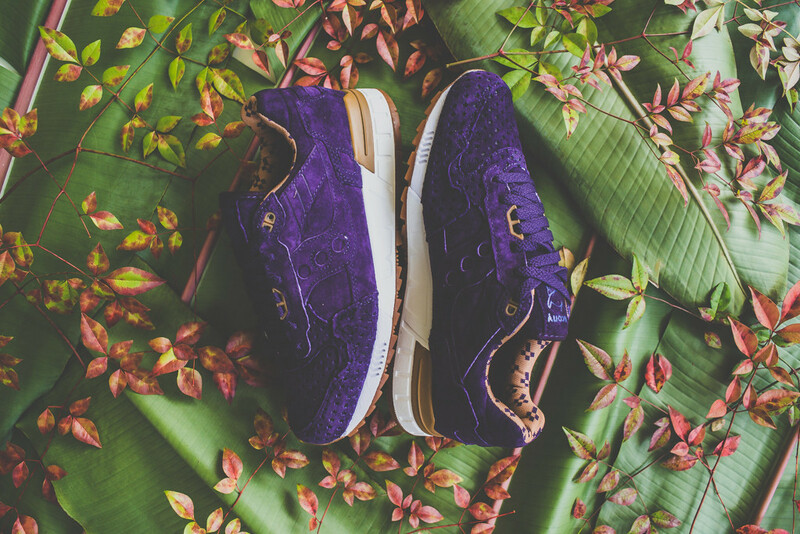 Each of the sneakers are crafted from premium suede and feature cut-out star detailing on the toe box – stars being one of Play Cloths’ signatures. 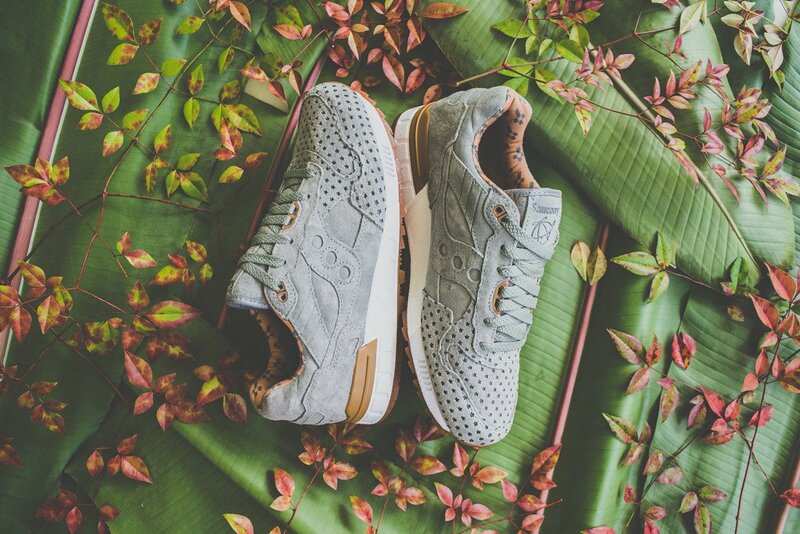 As always with the premium suede Saucony use, you know the sneakers will have quality material. 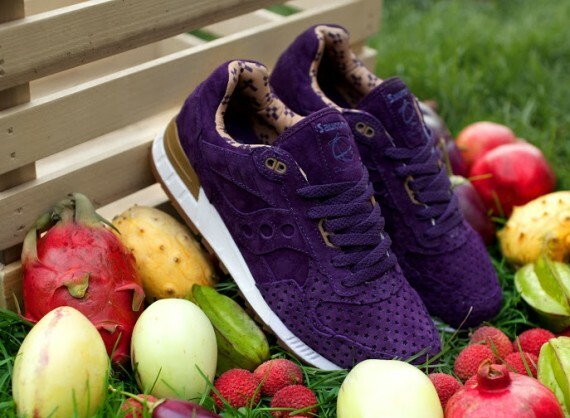 It would have been amazing if Play Cloths or any of the other retailers offered the fruit that the sneaker represented, ok ok, a little far fetched, but it would have added a little something extra when buying instore. For those of you in the USA, these have already dropped via Play Cloths and other stockists, please check for availability before you make the journey. 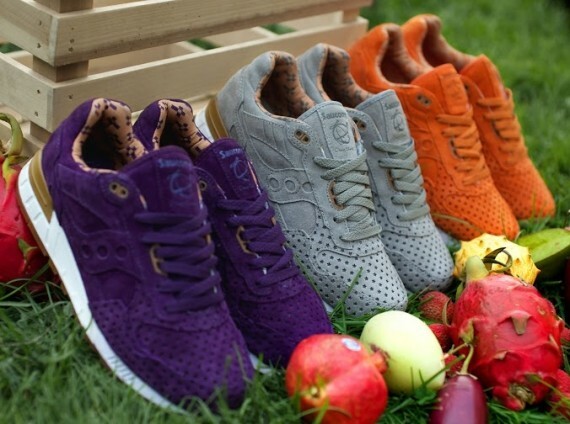 The Playcloths x Saucony ‘Strange Fruit’ is offered in neutral grey, burnt orange and crown jewel colour ways, and is available in the UK from Oki-Ni this weekend from the Saturday 27th September 2014!